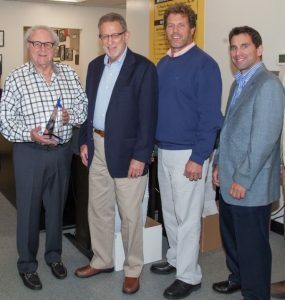 Founded in 1915, Elias Wilf is a fourth-generation family owned flooring distributor. Over the years, our company has continued to grow strategically through acquisition of competitor distributors as well as by expansion into new geography and carefully selecting the manufacturers with whom we partner. The Elias Wilf Corporation is a unique blend of the past, present and future. Led by management that has bridged the transformation of Elias Wilf, we share with our customers over 100 years of distribution experience and today, with a sales territory spanning from New York to North Carolina, Elias Wilf fields the largest sales and support team ever, and we still believe that at the very core of it all, People Buy From People! that was instated back in 1915 by the company founder, Elias Wilf.